Edible seaweed has a long list of health benefits, but few take advantage of its powerful healing properties in skincare. 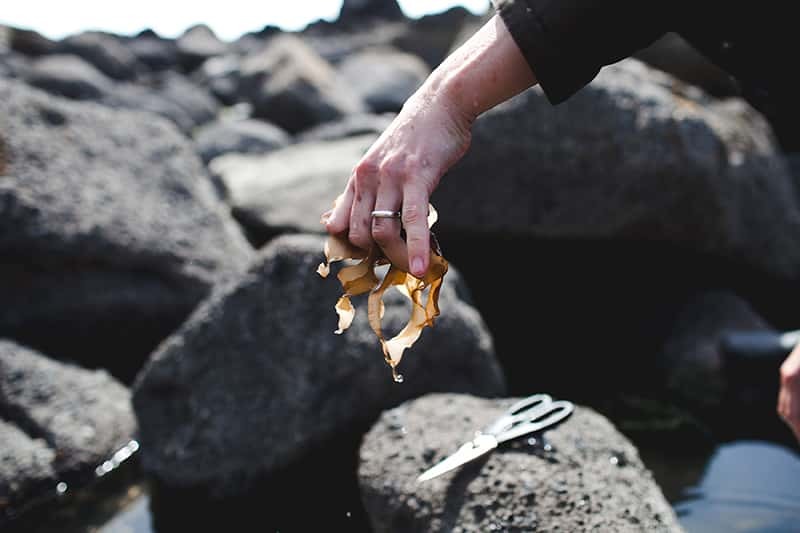 Join us for a day of exploring the skincare uses of intertidal plants of the coastal NW. Students will learn to identify seaweeds by texture, color, size and structure, leaving this class with the knowledge to harvest, process and use seaweed in the creation of personal skincare products. At the end of class, the group will make a face mask, and leave with seaweed and recipes to continue the process at home. This workshop is hosted offsite, on the Oregon Coast, near the town of Cannon Beach. Exact location, as well as packing list, will be sent to each participant 2-weeks prior to the workshop. This workshop is ideal for healthy adults who are comfortable being outside, rain or shine. This workshop involves exploring tidepools and walking on slippery surfaces. Good balence and body awareness are cruicial for safety.